Deep beneath the tundra near Eight Mile Lake in Alaska, at the “thaw front” where the active layer meets the permafrost, Northern Arizona University postdoctoral researcher Rebecca Hewitt has been observing a surprising rally: mycorrhizal fungi are congregating, in some cases taking up nitrogen as it’s released from the permafrost into the active layer. Using isotope tracers, Hewitt and her team have found these same fungi at the roots of plants whose root systems are too shallow to reach the thaw front. 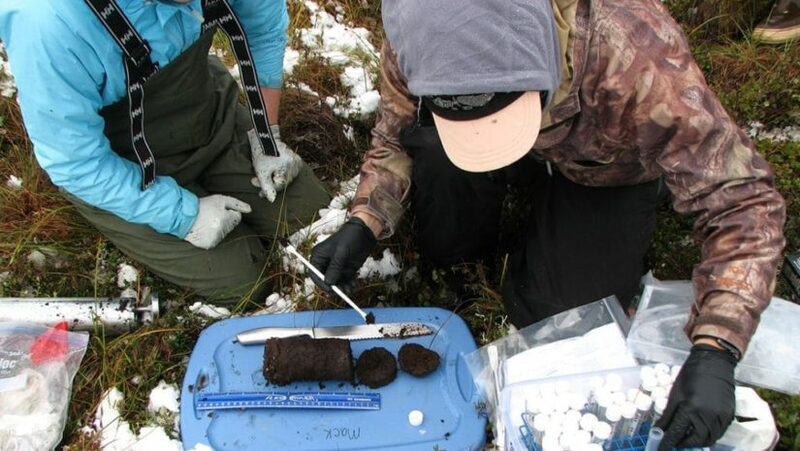 Hewitt’s findings suggest that these fungi, not yet well-understood, may operate like a superefficient meal kit delivery system for the tundra’s plant communities.